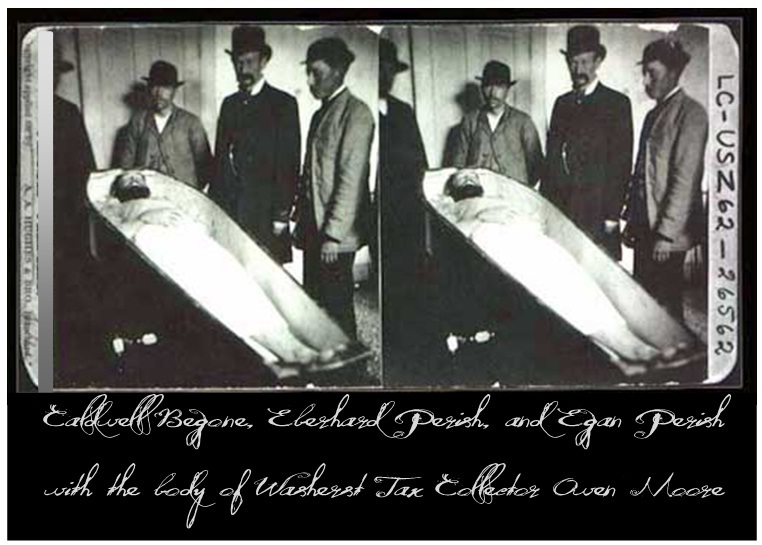 Caldwell Begone and brothers Eberhard and Egan Perish. Emmett Lee's mother worked as a cosmetologist at the funeral parlor. is thought to be funeral parlor employee Phillip Graves. 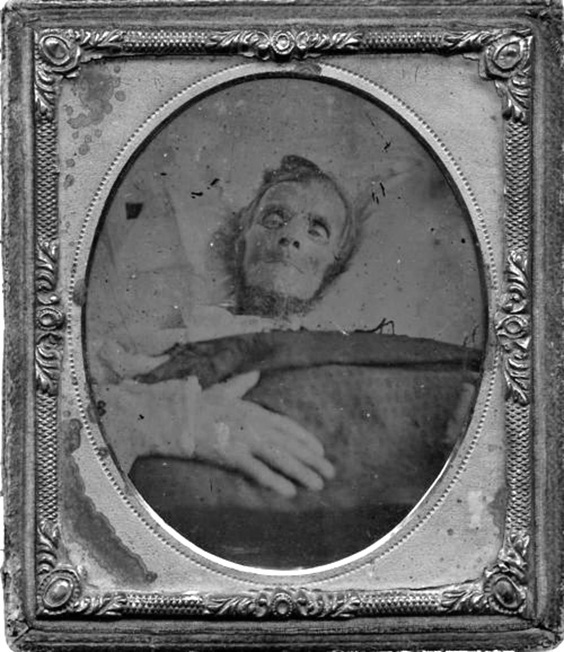 Emmett Lee Dickinson’s mother, Emalee Incross Dickinson, worked as a cosmetician at the Perish & Begone Funeral Parlor in Washerst, PA, owned by brothers Eberhard and Egan Perish and Caldwell Begone. The Dickinson family lived in a basement apartment in the funeral parlor. 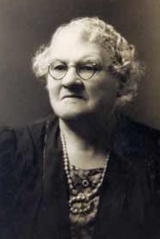 Every summer, the Clemens family from Hannibal, Missouri would visit Washerst, PA, and Jane Clemens would hire Qwerty Anne Dickinson, Emmett Lee Dickinson’s oldest sister, to watch her son Samuel. 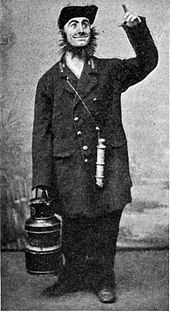 As a result, Emmett Lee spent much time with young Samuel Clemens. Qwerty Anne is pictured at the right (far right) with Jane Clemens and her son Samuel and daughter Pamela. 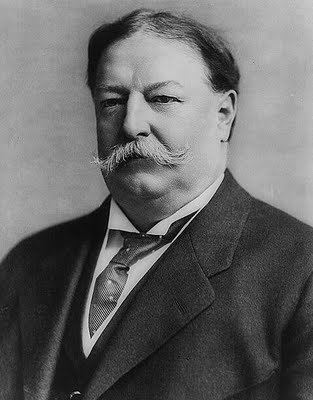 It is unknown if Hugginkhist (pictured at the left) ever responded to Dickinson. 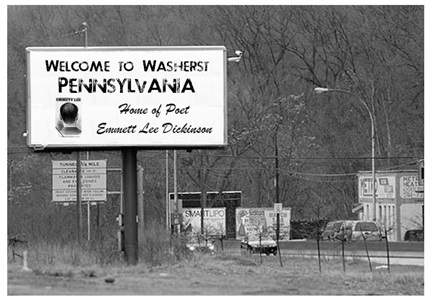 Late in life, Hugginskhist moved to Washerst, PA, to edit an anthology of Dickinson's poetry. TV producer Sherwood Schwartz based the sit-com “Gilligan’s Island” on the 1875 novel Dickinson’s Island by Qwerty Jean Dickinson, Emmett Lee Dickinson’s daughter.The novel recounts a time in Emmett Lee Dickinson’s life when a three-hour boat tour ended in misfortune when the boat was shipwrecked on an unknown island in Lake Erie off the coast near Erie, PA. Dickinson was stranded on the island with the boat’s skipper, a millionaire and his wife (John Jacob Astor III and his wife Charlotte), a professor from Pennsylvania State University, an actress (Margarita “Babe” Fischer), and a Lithuanian goat herder(Marjuanni Sumnoracklotski) who had been living near Washerst. 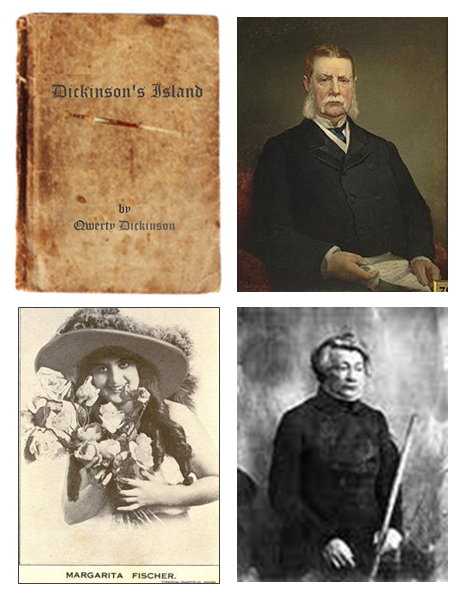 Pictured at the right (clockwise): Dickinson's Island by Qwerty Jean Dickinson; John Jacob Astor III; Marjuanni Sumnoracklotski; and Margarite "Babe" Fischer. Near the end of a particularly steamy summer in 1856, Emmett Lee was involved in a love triangle with his cousin, Eugenia Bates, and his voice teacher, Thaddeus Plum. 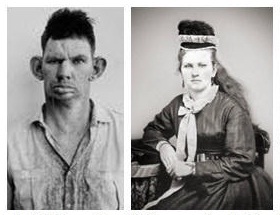 The passionate triangle grew to a rhombus when Eugenia met and involved Walt Whitman’s younger brother, Wink (pictured at the left). Pictured at the right: Dickinson's voice teacher, Thaddeus Plum, and his cousin, Eugenia Bates. 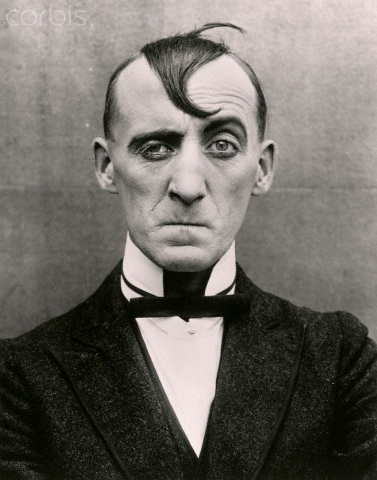 In the mid-1800s, Dickinson returned to Baltimore for a series of reunuion shows at the Calvert Street Theater with Edgar Allan Poe as the comedy duo "Izzy Sharp & Moe." At that time, the two met Lenore Peccavimus (pictured at the right), a socialite from Washerst, who was visiting Baltimore. She inspired Poe to write his classic poem "Lenore." Ned Sullivan was Washerst's consummate showman -- and he owned and operated the Ned Sullivan Theater in downtown Washerst, home of Marty Graw's One-and-Only Dickinson Revue, which presented musical, comedic, and dramatic presentations of Emmett Lee Dickinson's life and poetry. Mme. 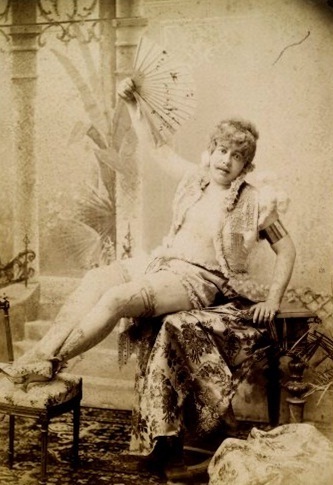 Brigitte De La Mettrie was a frequent performer at Ned Sullivan's theater and appeared regularly in Marty Graw's One-and-Only Dickinson Revue. 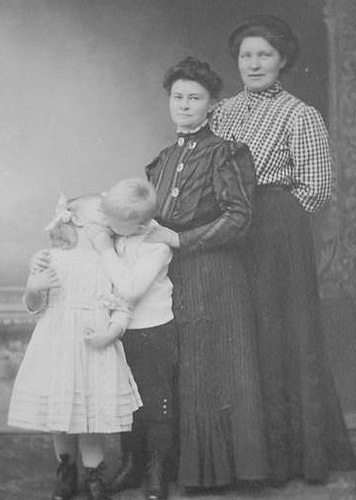 Pictured at the right: Mme. Brigitte De La Mettrie appears in her popular interpretive dance, "I Taste A Liquor Never Brewed." In addition to being home to the National Traffic Light and Traffic Sign Museum, Washerst was home to William Board (pictured at right) , creator of what he termed the "Turnpike Public Notice Marquee." At the far right is one of his notices, but the public started referring to his creation as a "billboard," in honor of the man who originated the idea. Having survived Boston's Great Spider Infestion of 1807, Miss. 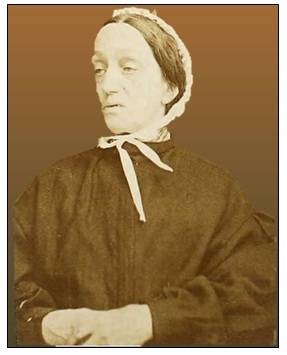 Mary Margaret Muffet relocated to Washerst to open and run the American Academy of Arachnology and Acarology for Women. Oksana Pogobrazhenski was the inventor of the Pogo Stick. Originally called Oksana's Vitality Bar, the device was meant to cure a variety of ailments, including disordered liver, biliousness, constipation, nervous irritation, inflamed eyes and eyelids, impaired digestion, and more. Oksana promised that her Vitality Bar would quickly restore females to complete health, "acting like magic on the vital organs, strengthening the muscular system, and arousing with the rosebud of health the whole physical energy of the human frame." 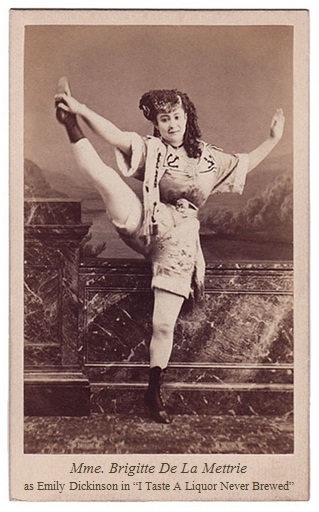 For years, the dance team of O'Shea and Krass appeared at the Ned Sullivan Theater as "The Dancing Dickinsons." 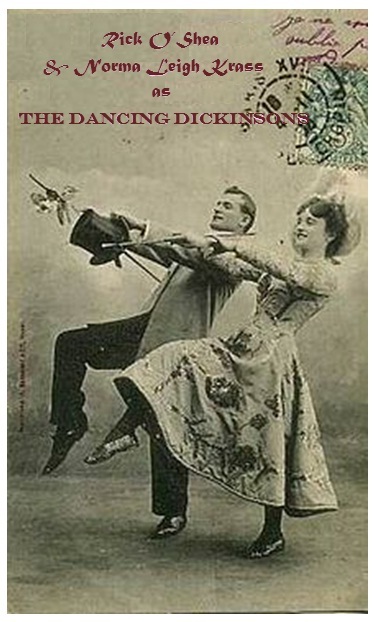 Rick O'Shea appeared as Emmett Lee Dickinson, and Norma Leigh Krass starred as his third cousin, Emily Dickinson, in a rollicking song and dance extravaganza Their company's dance troupe, known as the Dancing Poettes, played other Dickinson family members and prominent Washerstians. In 1925, famed choreographer Maxfield Rock lured many of the Poettes to Radio City Music Hall in New York CIty when he formed the Rockettes. 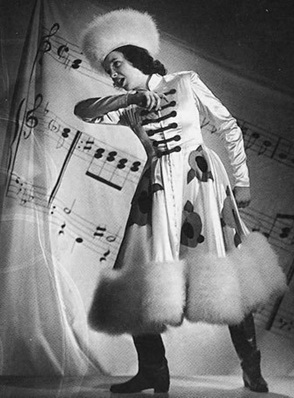 At the right: Norma Leigh Krass sings a crowd favorite based on a poem by Emily Dickinson, "Because I Could Not Stop For Death." Theodosia"Zella" Bristowe (left) was from one of Washerst's most prominant families, one of the first to own and drive an automobile through town! 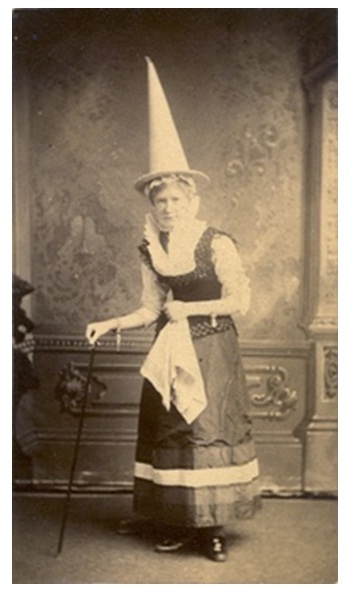 Later in life, Zella was the founder of the National Traffic Light and Traffic Sign Museum in Washerst, and she was the inventor of the traffic safety cone. Mildred Amplebottom (right) founded the International Institute for Laundry and Ironing Sciences (more info is found HERE). 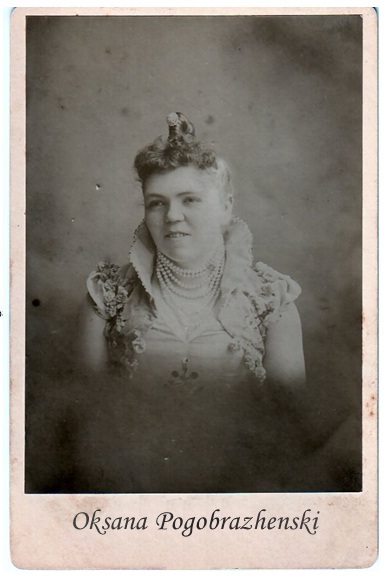 Late in life, she also was a winner of a George Washington Look-Alike Contest. Bogumila Gondek, who live in Washerst all her life, was the inventor of the tube sock. Celebrate National Tube Sock Day every November 11th! 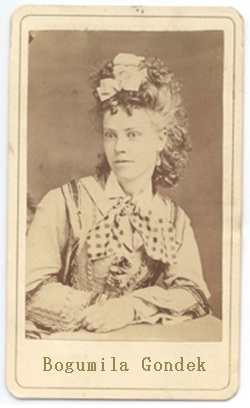 It is rumored that Emmett Lee Dickinson (Emily Dickinson's third cousin, twice removed -- at her request) had a tempestuous affair with "Downtown Abby," the world-famous madame of a brothel in Washerst in the mid-19th century. Ms. Wellwood-Barnwell is also the inspiration for the public television series "Downton Abbey," due to her practice of reserving rooms upstairs for politicians and wealthier clients and rooms in the basement for commoners.